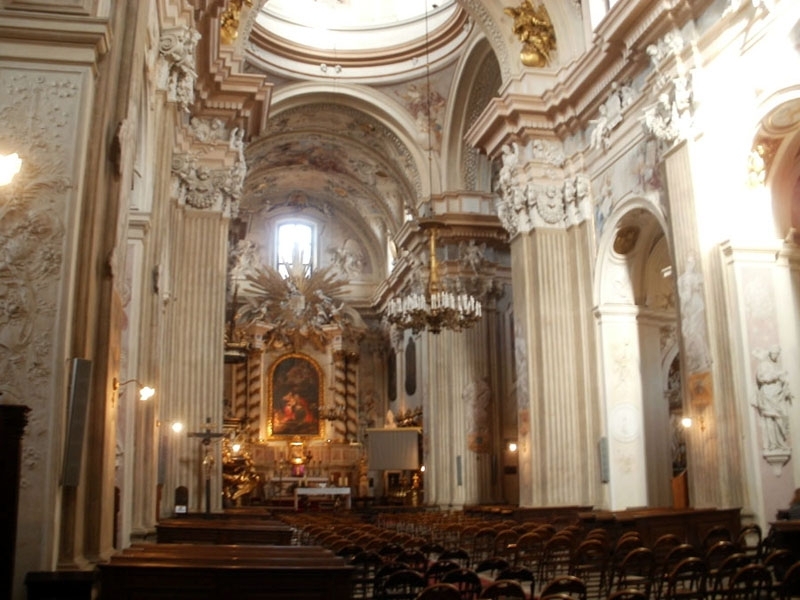 ST. ANNE’S CHURCH – one of the most beautiful late Baroque churches in Europe. You will be amazed to see so many angels at the same time! One of the most favourite churches for weddings in Cracow. 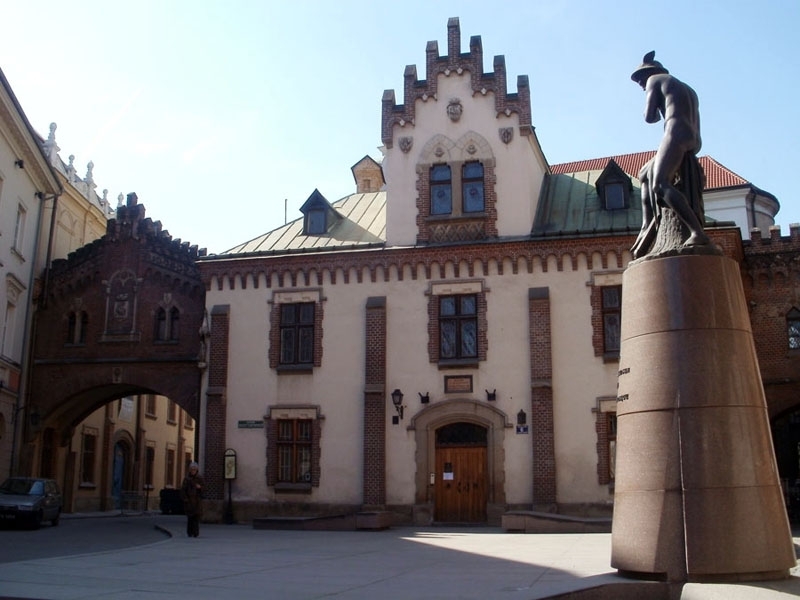 THE CZARTORYSKI MUSEUM – there are a few exhibitions concerning the National Memorabilia from the 14th to the 18th century, the armoury, the ancient art and the European paintings of which the most valuable are Leonardo da Vinci’s Lady with an Ermine and Rembrandt’s Landscape with the Good Samaritan. ŁAGIEWNIKI THE SANCTUARY OF THE DIVINE MERCY – an important cult place visited by millions of pilgrims from all over the world, strongly associated with Pope John Paul II. 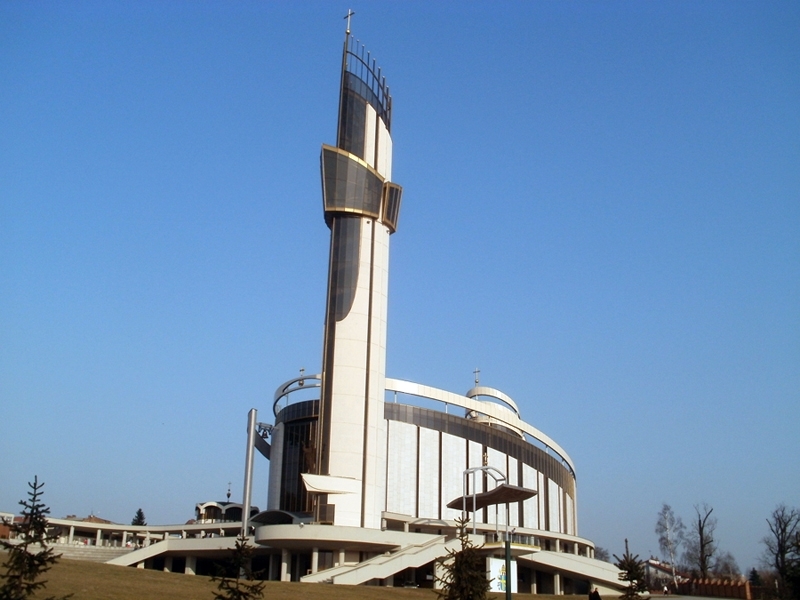 The Sanctuary is a fine example of the modern architecture and the 77 m tower standing next to it gives a perfect chance to see an extraordinary panorama of Cracow from the deck at the height of 42 m. If the visibility is good, it’s possible to see the Beskidy and the Tatra mountains. Don’t be afraid of stairs, there’s a lift. Near the Sanctuary there’s an old church and the nunnery where St. Faustine lived, worked and was the Apostle of the Divine Mercy. 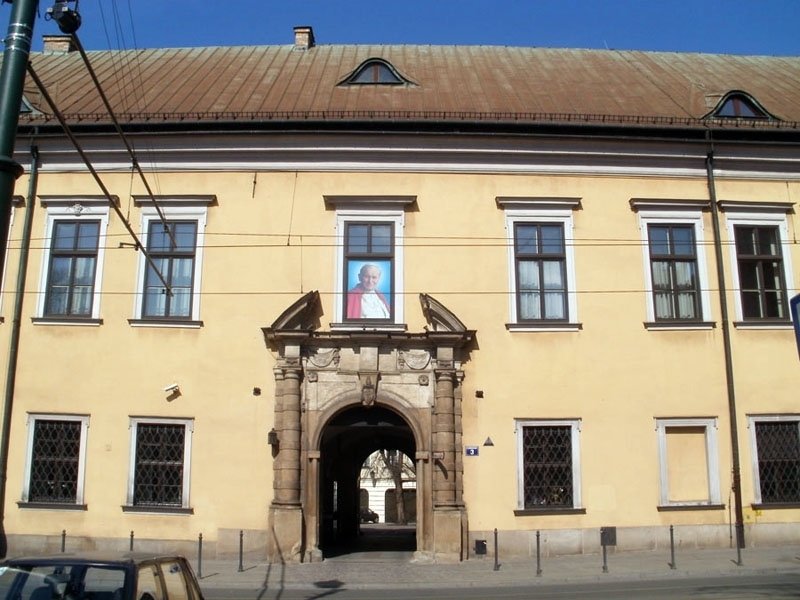 THE PAPAL WINDOW – the most famous window in Cracow from which Pope John Paul II talked to the people when he visited our city on pilgrimages. 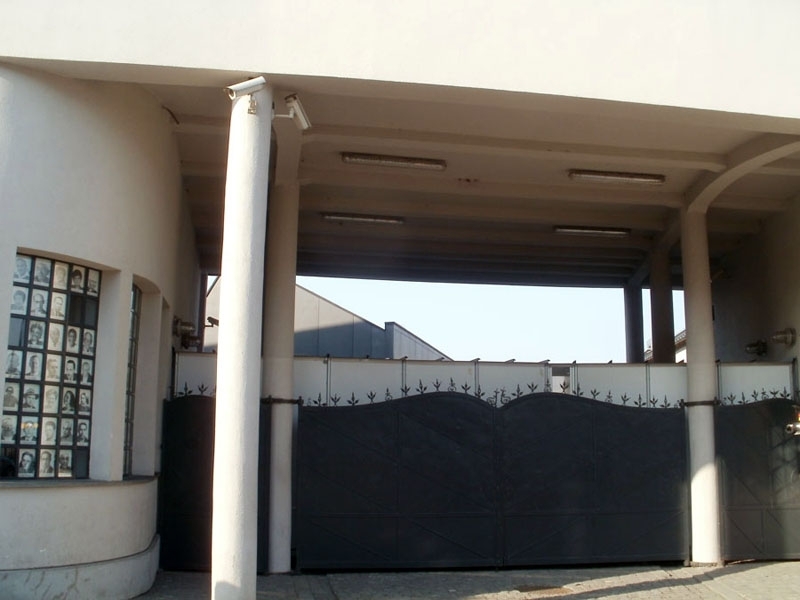 THE SCHINDLER’S FACTORY MUSEUM – the museum devoted to the II World War time in Cracow. Many modern multimedia displays and original photos and exhibits showing the life at that sad time. There is also Oscar Schindler’s study and objects connected with the Emalia factory which he owned. 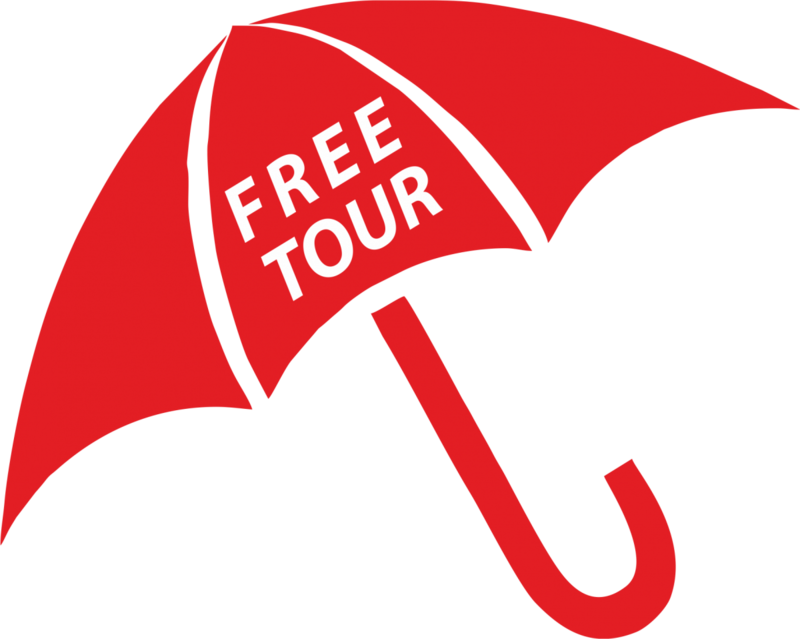 The exhibition was designed to be visited individually so you’d better go there by yourself, not in a group. You will see more and you’ll have time to watch all the films and displays. The guide isn’t really necessary. 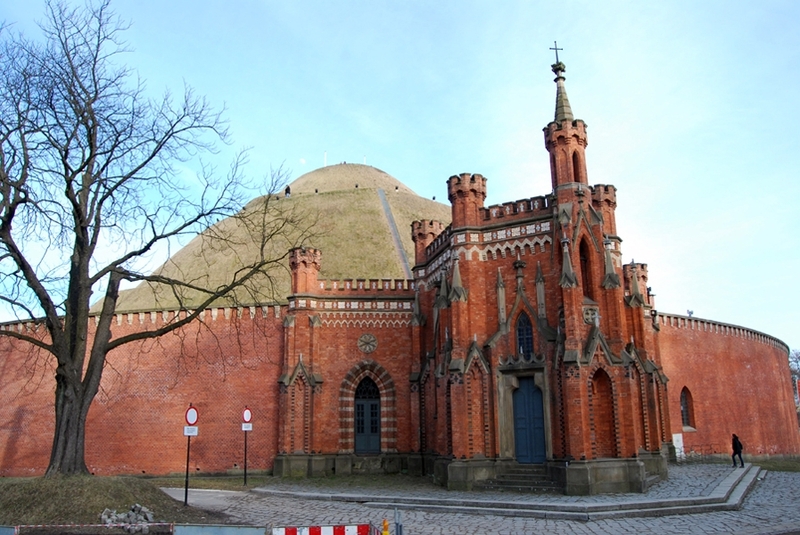 CORPUS CHRISTI CHURCH – the main church in the Christian part of Kazimierz. A perfect match of the Gothic and Baroque styles. FRANCISCAN CHURCH – it dates back to the 13th century, rebuilt at the end of the 19th century after the great fire of Cracow and that’s why the interior houses excellent examples of Art Nouveau stained – glass windows from around 1900. The superb of them is God the Father – Become! above the main entrance to the church. 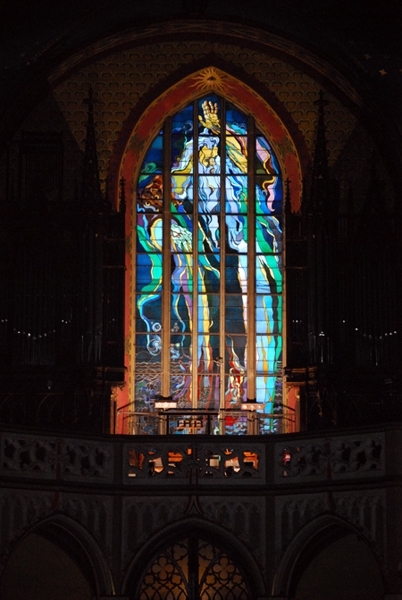 Don’t miss the Art Nouveau Stations of the Cross in the chapel of Passion. 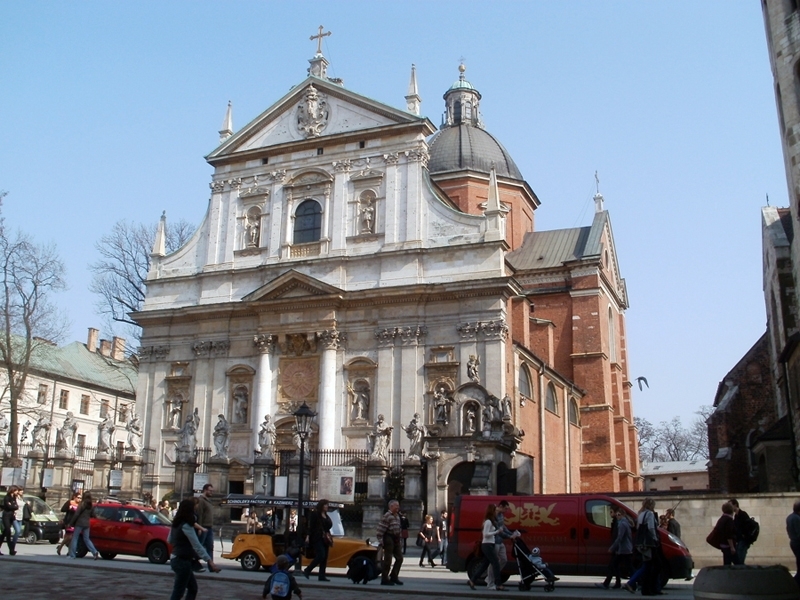 ST. PETER AND PAUL’S CHURCH – the biggest Baroque church in Cracow. Because of the perfect acoustics there are many organ concerts. 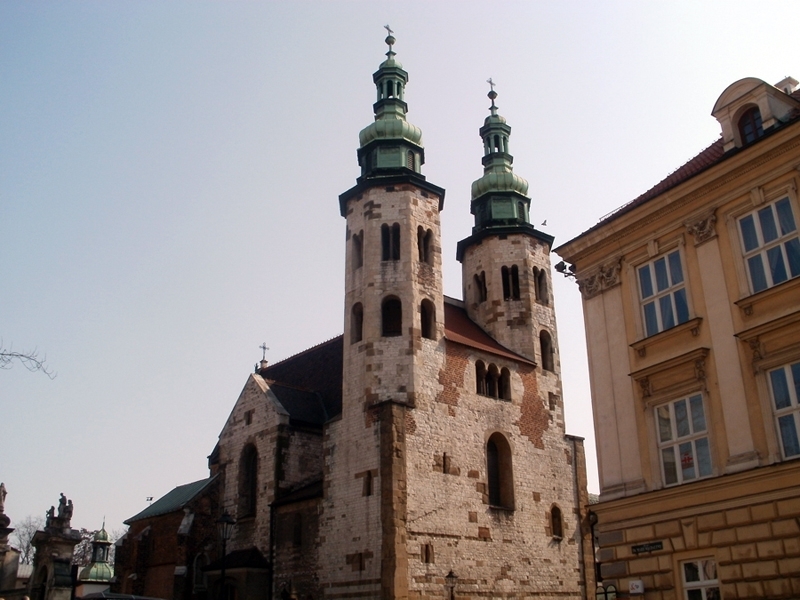 ST. ANDREW’S CHURCH – one of few examples of Romanesque architecture in Cracow. It was used as a defense place against the Tatars raids in the 13th century. 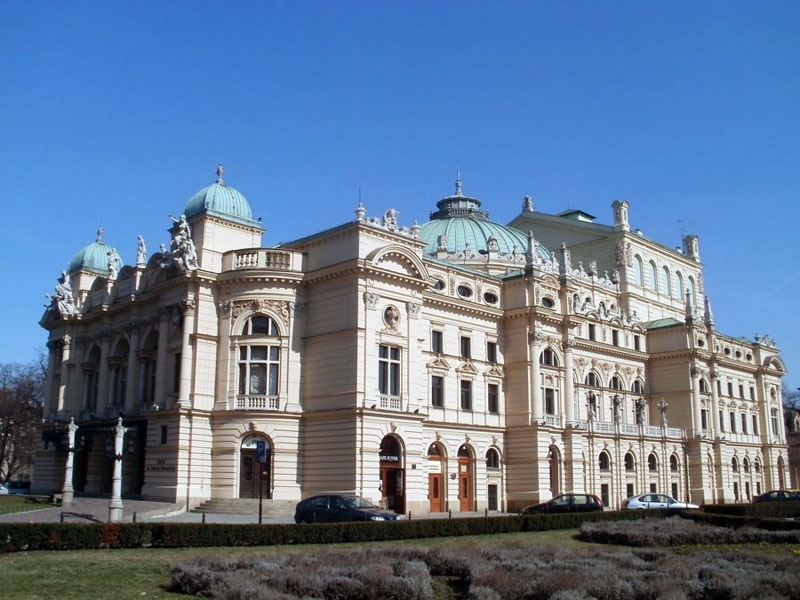 THE SŁOWACKI THEATRE – built in an eclectic style at the end of the 19th century, partly modelled on the Paris opera house. This main theatre of Cracow looks beautifully at night. SALWATOR AND KOŚCIUSZKO MOUND – if you want to go sightseeing and have a rest at the same time, it’s the perfect place for you. There are picturesque churches like the Norbertine nunnery or the Holiest Saviour church which both date back to the 12th century, a wooden St. Margaret’s Chapel which is a very rare form of architecture in Cracow and a lovely Bronislawy Street with lots of old houses hidden in the trees. You can go up this street to Kościuszko Mound, a unique structure created in the 19th century to commemorate the Polish hero. The Mound offers a great view of the whole Cracow and the area. If the weather is good, you can even see the Tatra mountains. Below there are the 19th century fortifications. it’s really a magical place, an island of peace in the busy city. You won’t regret spending the afternoon or even the evening there. 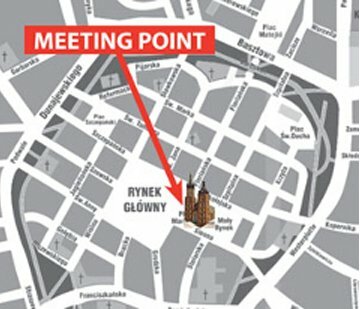 If you don’t want to walk up the whole way, take the bus nr 100 or 101 from the Salwator bus stop or Rondo Grunwaldzkie.